I had a blast during this trip! It was a phenomenal experience and I would highly recommend others to try it out in the future. The view from the trail is unbelievable. 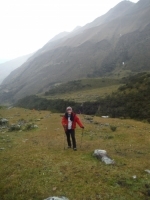 Hiking along the trail includes forest and high elevations well above the tree line. 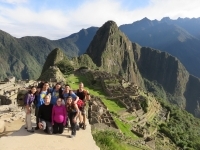 It is a physically demanding hike that is very rewarding. 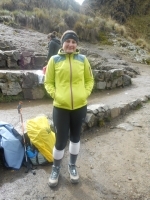 My trip on the Inca Trail was a once in a lifetime experience! I suggest that if you even think you may want to do this, you do it! Nothing makes you appreciate Machu Picchu itself more than finally seeing it after 4 long days of trekking towards it. 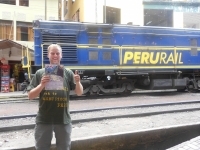 How Peru kicked my a$$! Adventure can be defined in infinite ways. For me, it must include trying something out of your comfort zone and seeing a new way to see the world, or a new perspective on something ordinary. 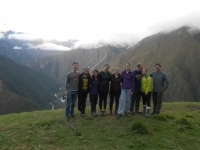 The Salkantay trek encompassed all these things and pushed me towards my limits. 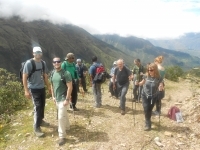 The Salkantay Trek is one of the most enduring but rewarding trails available in Peru. It not only tested your physical but also your mental capabilities. I really urge folks who are contemplating this trip to go for the full 5 days experience. 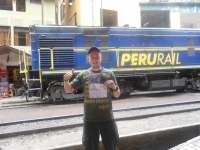 Well I would like to say this Inca Trail was one of the most enjoyable trip I have ever been on. It was very challenging at times but what a great achievement. 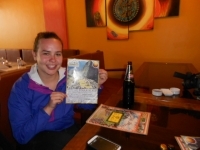 So finally back in a restaurant near Machu Picchu. My feet are in bits, my backs aching like mad and my legs feel like I have done 3 marathons, but my god it was worth it!!!! 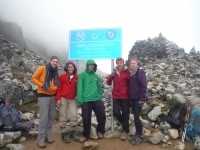 I booked on the Salkantay trek with my sister as a reunion of nearly two years - and what an amazing reunion it was! 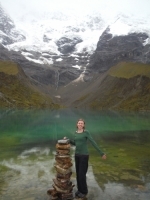 I met my sister in Peru and we came on the Salkantay trek - the first time I'd seen her in 2 years! 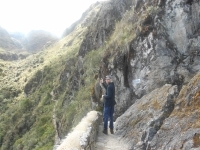 This trek has the most beautiful scenery - it changed from hour to hour as we climbed up mountains, stumbled back down again, crossed waterfalls, meandered through jungles full of orchids, hummingbirds, and maracuya. 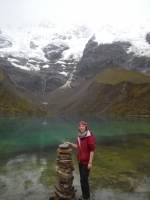 The Salkantay Trek was full of beautiful scenery of mountains and nature. Our chef Beltran took great care in preparing our meals including soups which were delicious. Our guide Carlos helped us all make it through the trek safely and motivated us through the hard parts. It was a challenge for sure!! The campsites were better than anticipated and the chef and horseman were AMAZING!!! 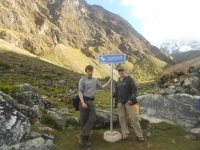 This was a fantastic, yet challenging trek. 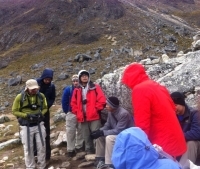 The cooks prepared delicious meals, the horsemen carried all of our gear and supplies, and the guides were very friendly. Be prepared for a challenging 2nd day, as well as cold weather the first night....it's not as easy as it looks or sounds! Our experience was more than we had ever expected. Our guide Hilthon was excellent. Hilthon took us at a good pace, was so very informative of traditions, history, rituals, plant life, and animals.